This 5pc contemporary dining set with 48” round beveled glass top is finished in rich cappuccino. 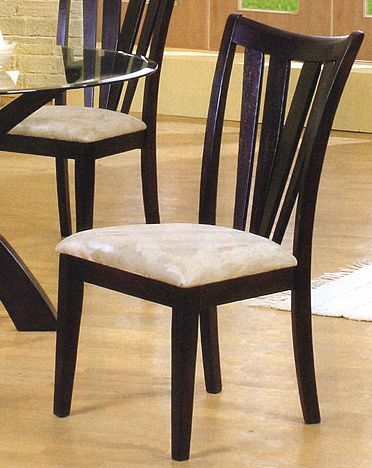 Matching upholstered side chairs wrapped in a micro fiber fabric. Base and chairs made of Rubber wood.